CHICAGO — Just over a week since the election, a group of more than 100 food advocates, entrepreneurs and farmers who gathered in the University of Chicago Booth School of Business’ Gleacher Center to discuss food policy seemed reluctant to discuss President-elect Donald Trump. As a parade of experts spent Wednesday morning discussing farming practices, hunger and food waste at the inaugural Chicago Food Tank summit, the election was generally only alluded to, typically accompanied with a chorus of groans and loud sighs. That was until Juliette Majot took to the podium. “It is amazing to me that I’ve heard very little about the election we just experienced today,” Majot, executive director of the Institute for Agriculture and Trade Policy environmental nonprofit, said. Majot expressed her frustration that issues like farming and food systems were hardly mentioned during the presidential campaign, and that climate change denier Myron Ebell has been chosen by Trump to lead the transition at the Environmental Protection Agency. There are plenty of legitimate reasons that advocates for healthier and more sustainably produced food are concerned about a Trump administration. While Trump’s campaign did not respond to a HuffPost survey on food issues that was distributed to all the major party candidates earlier this year, and he has released few public indications of his positions on food policies, the minimal evidence thus far points to a White House far less concerned with the sustainability of food. This week, one member of Trump’s agriculture advisory committee, U.S. Rep. Robert Aderholt (R-Ala.), told CBS News that he “would be very surprised if we don’t see some major changes on the school lunch program” under Trump, showing that improvements to the program made under the Obama administration may be threatened. Food safety advancements also appear to be at risk. In a fact sheet posted to Trump’s campaign website in September, the campaign called for “eliminating” “the FDA food police,” which the paper blamed for over-inspecting food facilities. The sheet was later removed from the website and replaced with a new one that did not mention the FDA. Beyond Trump’s selection of Ebell to lead the transition of the EPA, the president-elect has also repeatedly threatened to altogether eliminate the agency, which works to ensure that farming and ranching operations don’t negatively impact human health or the environment. President-elect Donald Trump has made his affinity for fast food well known. Food advocates fear what that couldmean for food policy under his administration. In a more recent development, Trump’s selection of agribusiness lobbyist Michael Torrey, who is reportedly heading the administration’s transition of the Department of Agriculture, has also raised eyebrows. According to Open Secrets, Torrey’s firm’s biggest recent clients have included the soda-touting American Beverage Association, the Crop Insurance and Reinsurance Bureau, the Snack Food Association and pizza giant Little Caesar’s — all groups whose interests would appear to run counter to those of the “good food” movement. In addition, a “talking points” document reportedly created for Trump’s ag advisory committee obtained this week by Politico vowed to “defend American agriculture against its critics, particularly those who have never grown or produced anything beyond a backyard tomato plant” and return to conventional, as opposed to organic, farming methods. 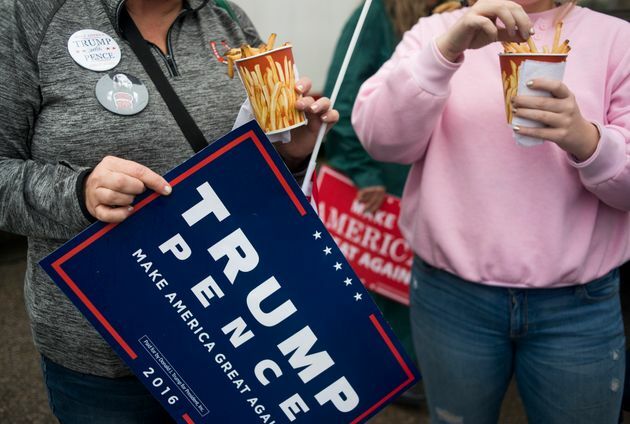 Danielle Nierenberg, Food Tank cofounder and president, admitted that the election of the fast food-loving Trump is “a different fight than many of us [in the food movement] anticipated.” But she is not dwelling on it. “The country elected [Trump] and we have to work with him. A lot of us are not happy about it, but now we need to move forward,” Nierenberg said. She did point to signs of hope in the appointment of two members of Trump’s ag advisory committee: former California secretary of food and agriculture A.G. Kawamura, who Nierenberg called a “big proponent” of urban farming, and U.S. Rep. Mike Conaway (R-Texas), current chairman of the House Agriculture Committee and a “really good guy” she is optimistic will be open to hearing from food advocates. Nierenberg is hopeful that individuals like them will be open to concerns about sustainability and ethics in our food system over the next four years.